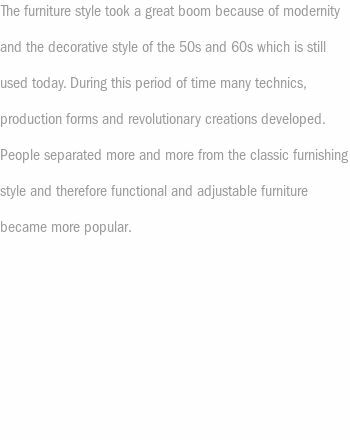 With this almond-leather sofa the sixties are in the spotlight. 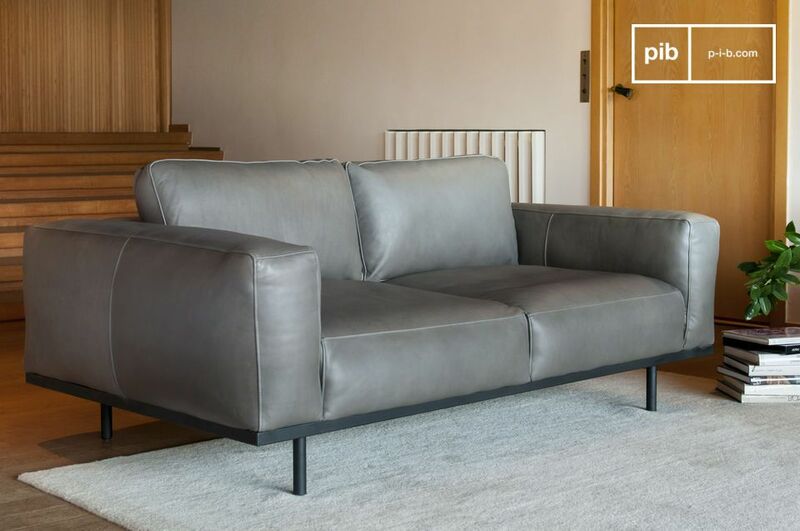 With its discreet and striking lines, his wide armrests and the beautiful grey tone, it will seduce lovers of creative craftsmanship. 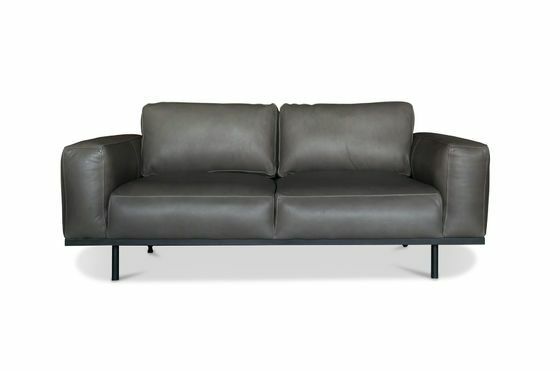 The combination of the contemporary metal base with leather indicates a Japanese influence. 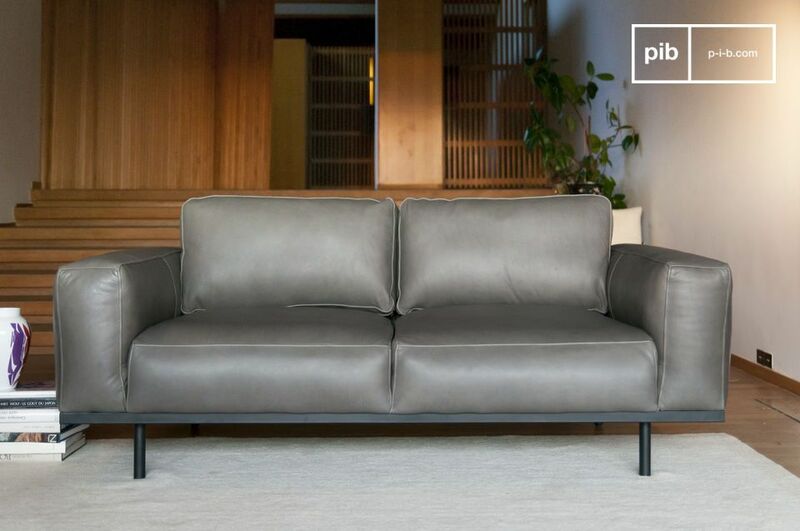 This sofa, carefully crafted both front and back, offers you welcome cocooning moments thanks to the quality of his padded seat and the amazing width of his armrests. 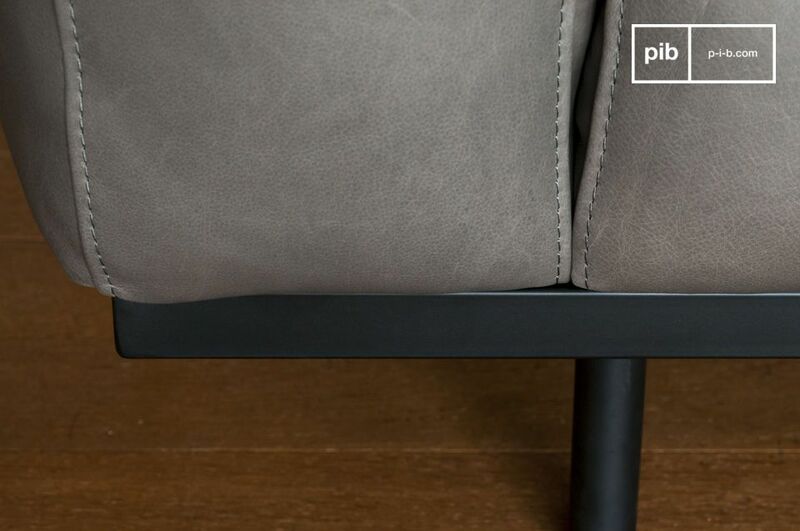 His neutral colour allows you to easily integrate it into your living room, regardless of its aesthetics. 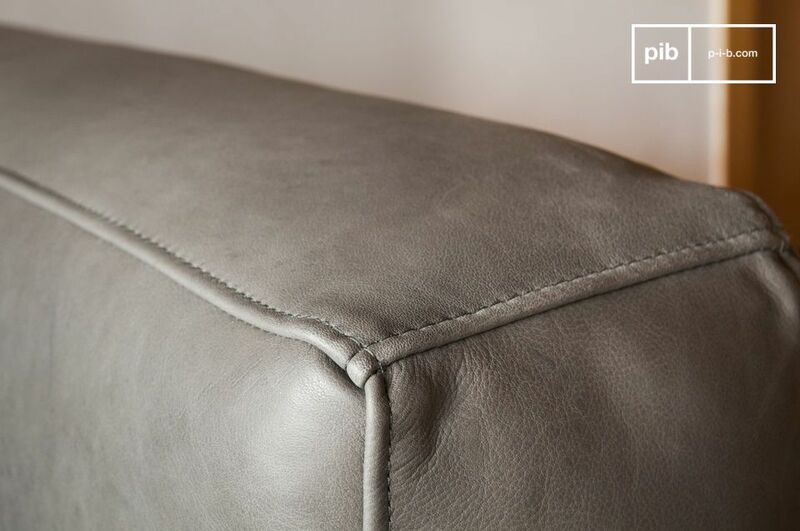 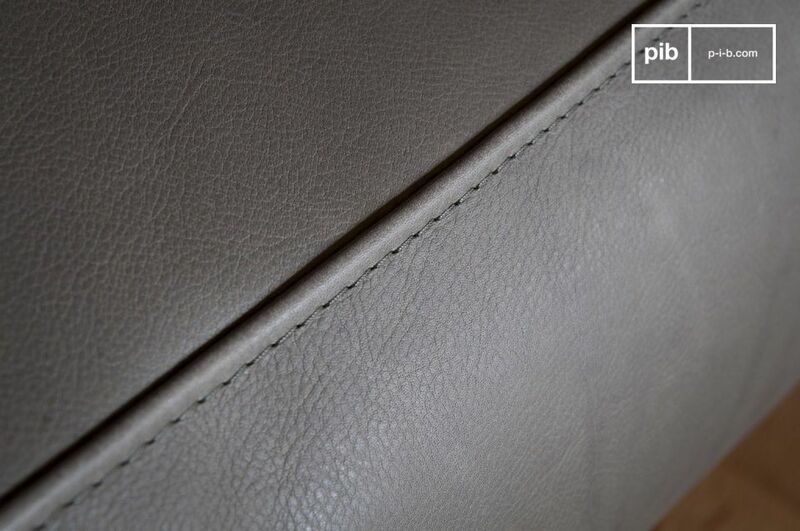 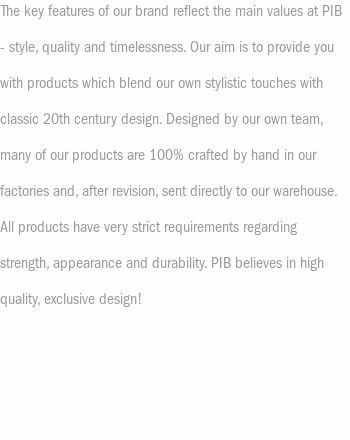 The central seam that segmented and geométrised the sofa and the quality of the stitching in the leather testify to a perfectly mastered craft.